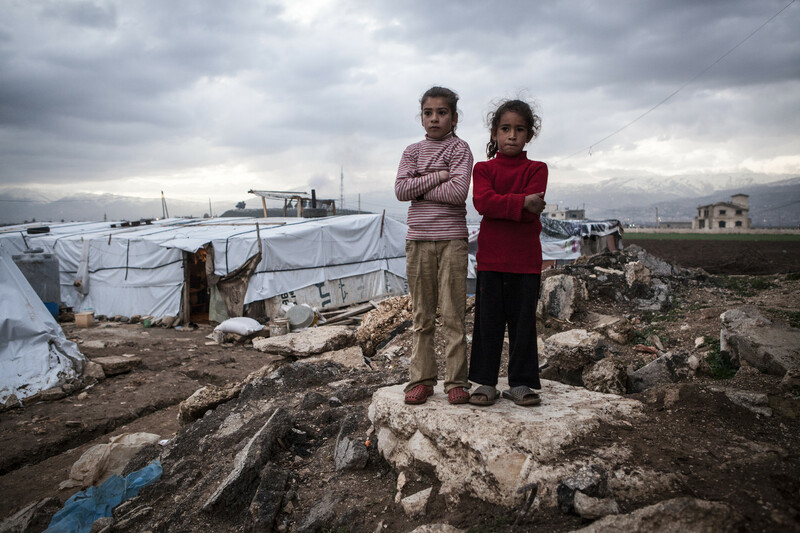 Syrian girls stood at a refugee settlement near the Syrian border. * all names have been changed to protect identity. Syria’s children are in desperate need of help. In Jordan, Lebanon and Iraq hundreds of thousands of refugee children face a bitter winter of sub-zero temperatures. Many live in flimsy tents or in buildings with no heating, electricity or hot water and have little or no winter clothing. Save the Children is helping children recover from their experiences within Syria and across the region, to make sure they can access education and to ensure that families have the basic necessities they need to survive â including healthcare, warm clothes, nutritious food and winter shelter materials.